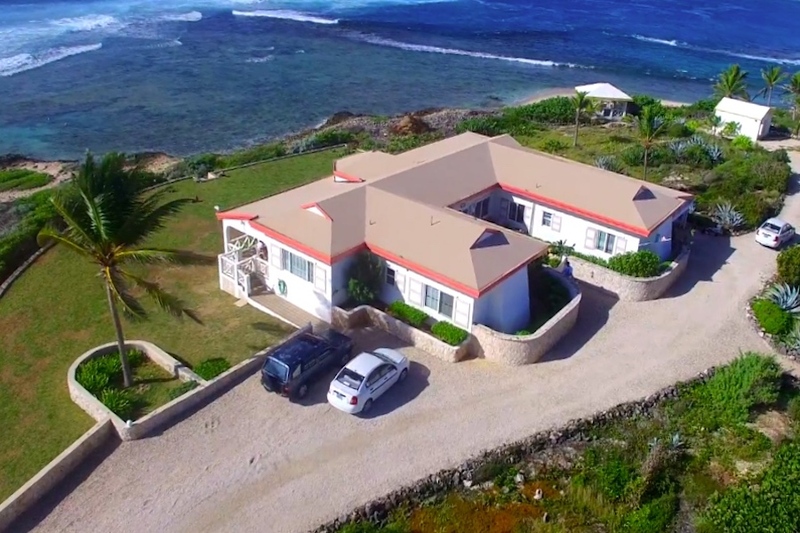 This inviting property sits on 0.5 acres of seafront land just east of Sea Feathers Bay, in one of the island’s most desirable residential quarters. 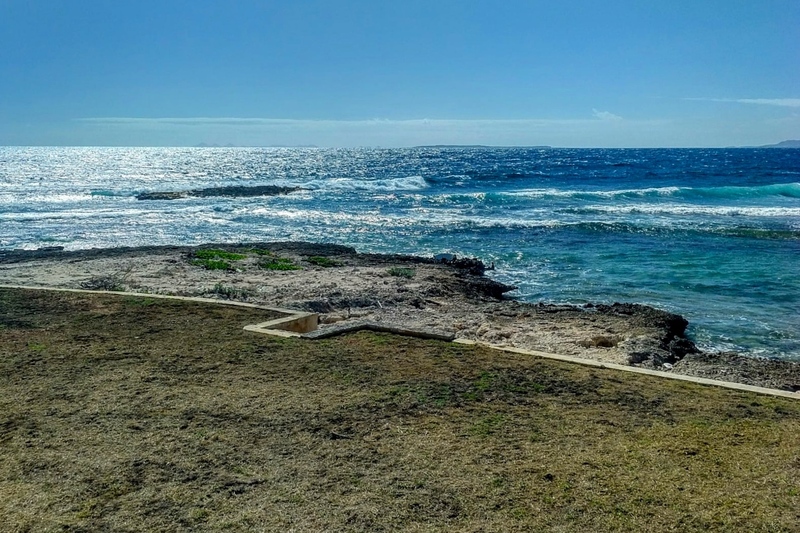 Unrestricted views of St. Martin, St. Barth and other neighboring territories as well as Anguilla’s southern coast provide the backdrop to the lone surviving original home in this complex of six buildings perched on a privileged corner of the northeast Caribbean. 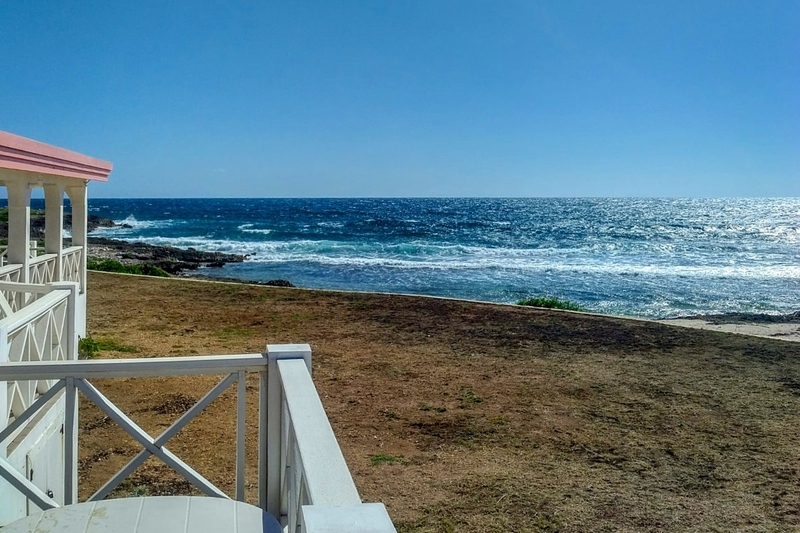 Unassuming, functional and perfectly suited to its environment, this villa isn’t just a sensible option in a market rife with overblown developments—it’s actually a strong contender for the smartest investment on the island. 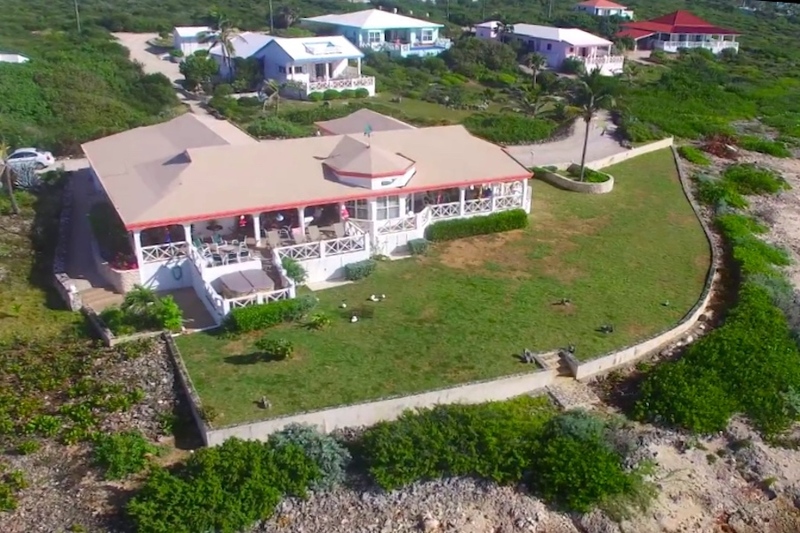 Built in the 1990s as the biggest property in Anguilla’s first shoreline complex, Triton Villa was fully reconditioned in 2004, and has been spotlessly cleaned after hurricane Irma. 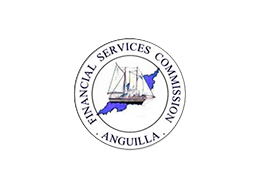 Damage from the biggest storm ever experienced in the region was limited to the low seawall along the coastline and other outdoor spaces. Thanks to its orientation, minimalistic design, and single-level layout the villa was spared major damage. Spacious living quarters include three bedrooms, two bathrooms, extensive terraces all around the property and beautifully manicured gardens. The solid concrete structure is softened by evocative wooden cross railings and traditional two-feet limestone walls that confer the compound its unmistakable personality. 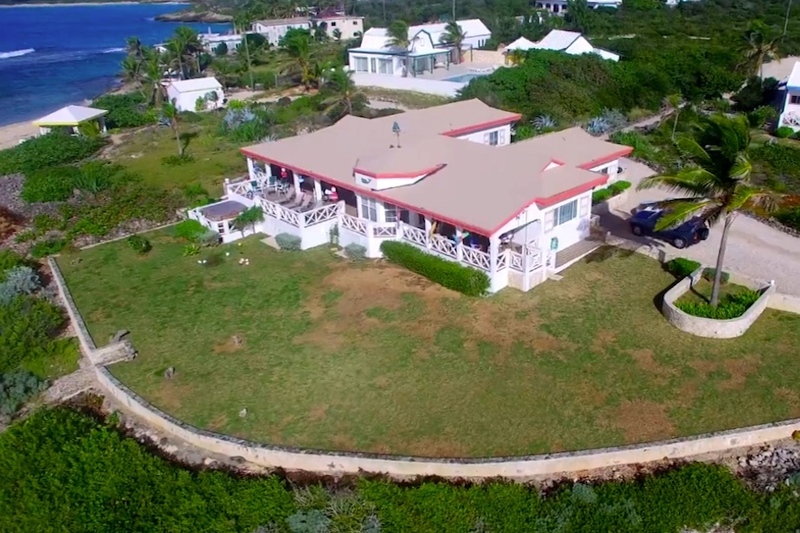 Asking price: US $900,000. 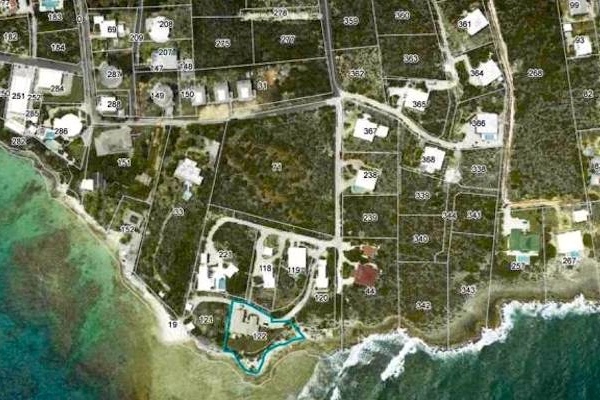 Learn more about Sea Feathers in our individual Anguilla real estate area profiles here.